Fall is in the air! Or at least it seems that way here. I love the feel of the morning fall air. I’m sure our warm weather will return soon, but in the meantime this weather put me in the curriculum writing mood. 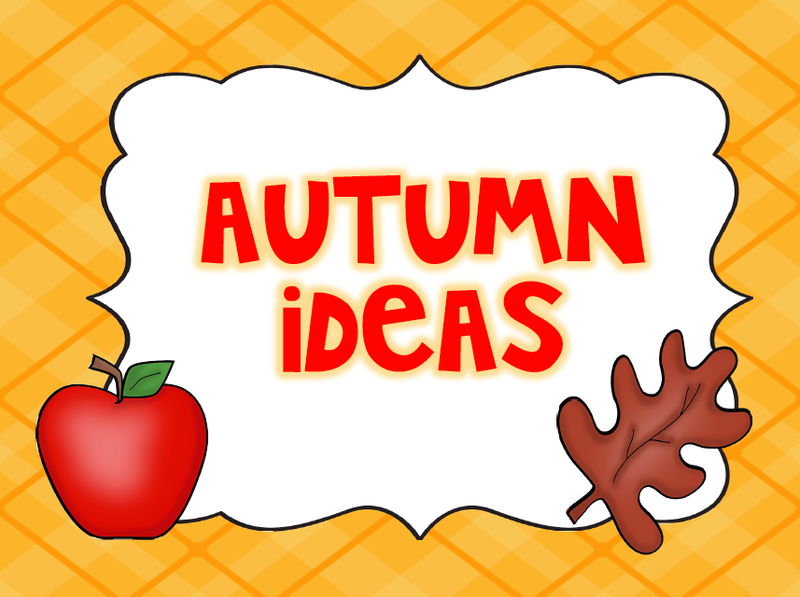 I just finished my second fall themed lesson packet this week. 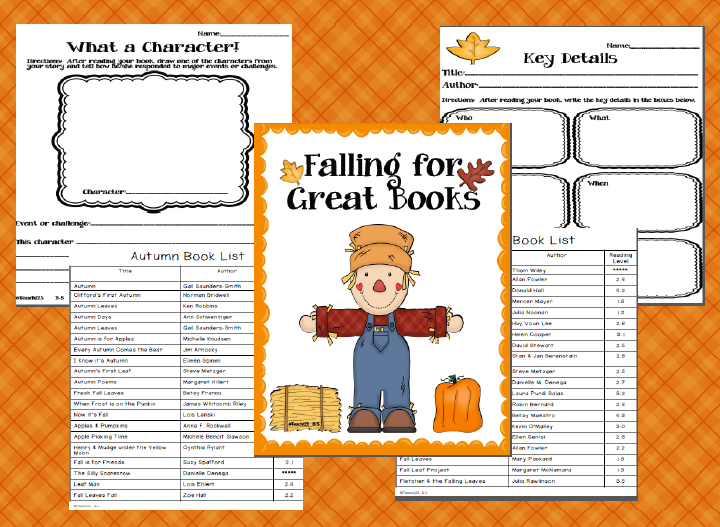 This packet has fall themed literacy centers and is aligned with Common Core Standards. Print leaves on card stock. Cut apart on yellow dotted line. 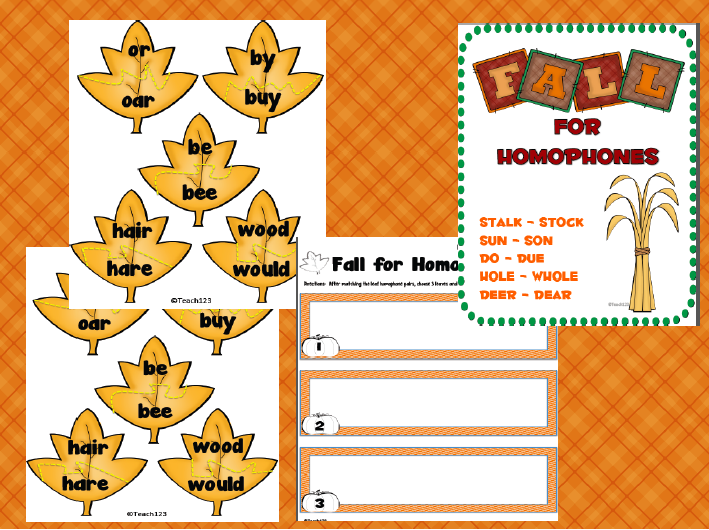 Students will choose 3 homophone pairs. Students will write a sentence using each homophone pair. Example: The hare had soft hair. 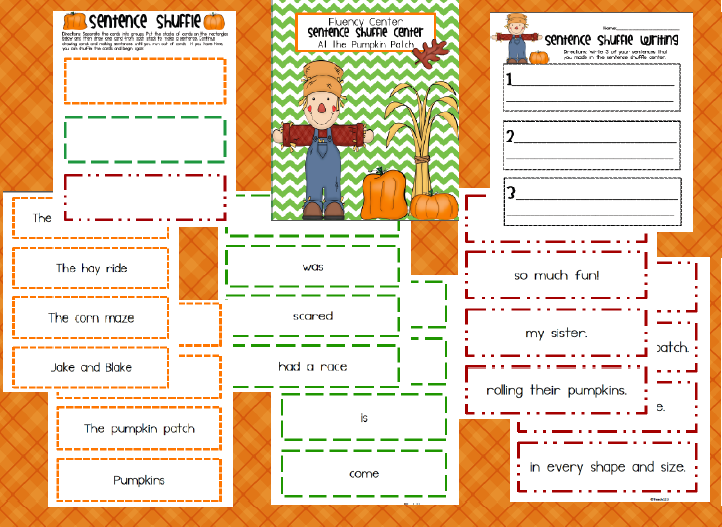 Sentence Shuffle Centers are normally sold separately ($4) instead of in packets. 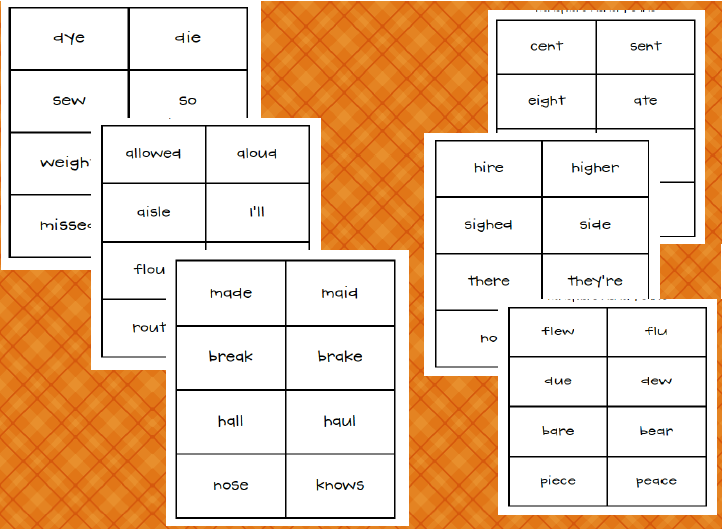 Read more about a Sentence Shuffle Center HERE. Students can either keep this sheet of sentence starters and cut one off each day or you can make a class set and set it up as a writing center. 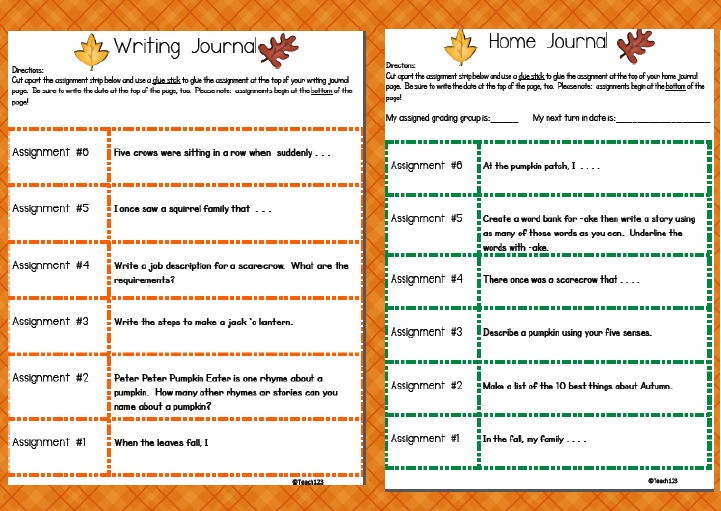 The Home Journal page can be used for writing homework. I have a writing homework program using this format in my Writing Tips and Tidbits packet. Read more about the program HERE. Book list includes 40 books and their reading levels. This center can be used different ways. 1. Copy the page with words and punctuation marks on card stock cut it apart. 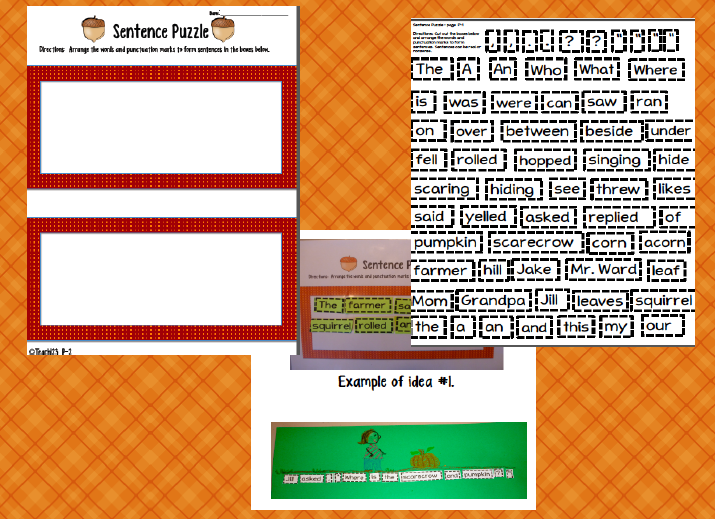 Let students arrange words and punctuation marks on the “Sentence Puzzle” page to make sentences. 2. Copy the page with words and punctuation marks and give each student a copy. Students glue words and punctuation marks on the “Sentence Puzzle” page to write sentences. 3. Follow directions for #2 except glue on construction paper and illustrate. 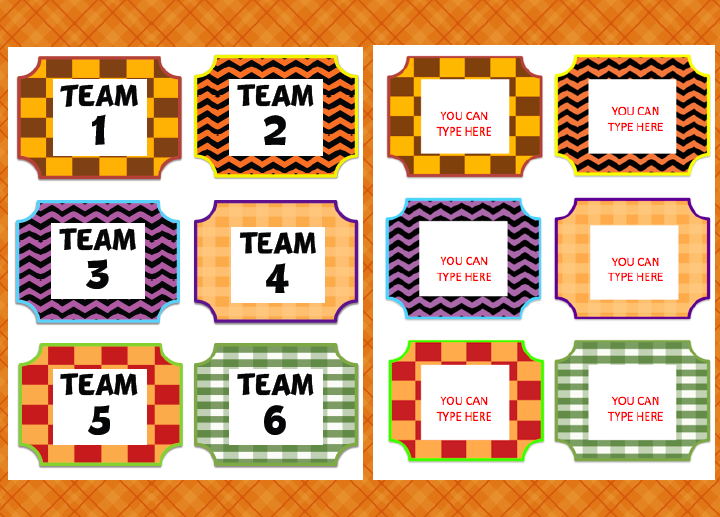 Print Autumn word bank cards on card stock. 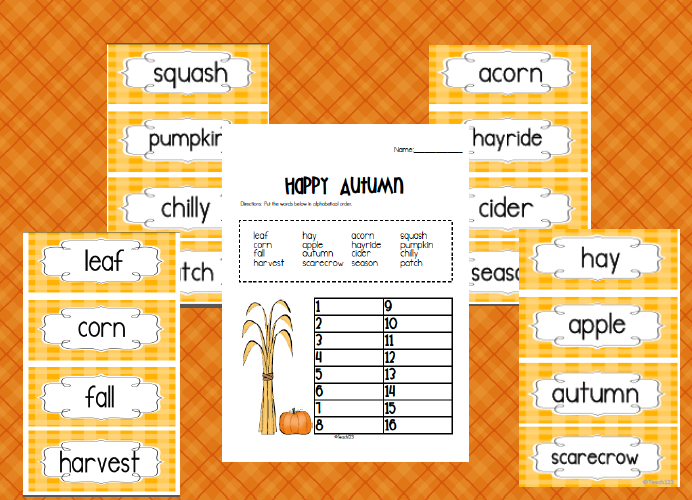 Students will put them in alphabetical order then write their answers on the Happy Autumn worksheet. Print on card stock in season colors. Print team signs on card stock. There is also an EDITABLE version. You need the Powerpoint program to type on it. Click on the picture to visit my TPT store. What a great packet Michelle! !